I recently finished making a friends baby bedding. 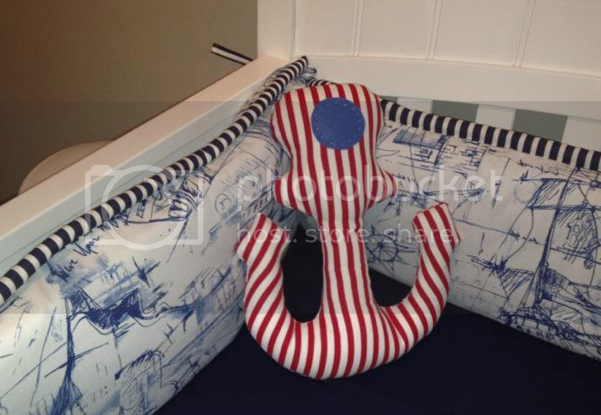 I loved her nautical theme. Those little pillows were probably my favorite part. 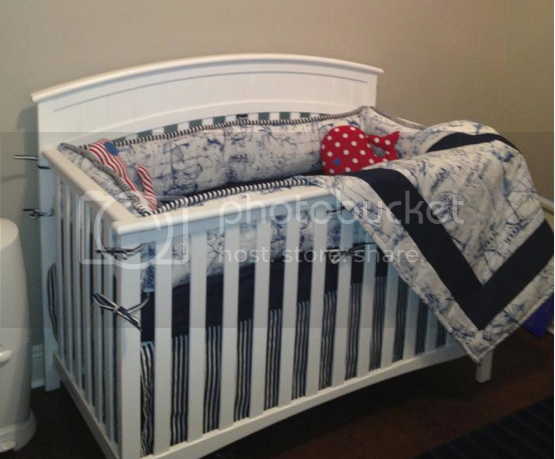 I'm pretty sure I won't be going into the baby bedding making business though. P.S. If you are a Mississippian, don't forget to VOTE today! You've got a creative mind which is rare! 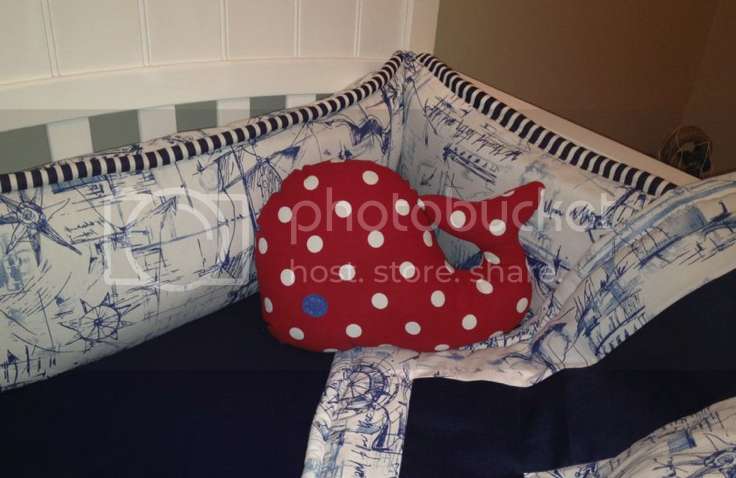 I love the idea of pillows and the entire look of the baby cot has come out splendid!